Mark Mortimer grew up in Clayton County, where he attended Mount Zion High School in Jonesboro, Georgia. Highly recruited in football and baseball, Mark chose to continue his baseball career at Georgia State University. Mark was a three-year starter at Georgia State and was named Mizuno Freshman All-American, a three-time All-Conference Player, and lead the conference in hitting his sophomore season.Mark elected to enter the MLB amateur draft after his junior year and signed with the Atlanta Braves. He spent four and a half years playing in the Braves organization and made it to AAA, but injuries hampered his career. Highly regarded in the Braves organization, Mortimer was selected to join the Atlanta Braves coaching staff at the major league level as the bullpen catcher for the 2002 and 2003 seasons. There he worked with Leo Mazzone and a superstar pitching staff that included Hall of Famers Greg Maddox, Tom Glavine, and John Smoltz. He also threw batting practice daily and worked with hitters such as future Hall of Famer Chipper Jones.After his stint as a bullpen catcher, Mark founded the BigStix Baseball organization in 2006 with his long-time friend Jack Stewart. He also became the hitting and catching coach at powerhouse Parkview High School for four years, winning two State championships and one National championship. After coaching at Parkview, Mark opted to return to school and finish his degree in criminal justice at Georgia Gwinnett College. While working on his degree, he was a volunteer assistant coach at the first year NAIA school in 2013. After graduation, Mark was hired as an Assistant Coach and Recruiting Coordinator at Division II Augusta University. 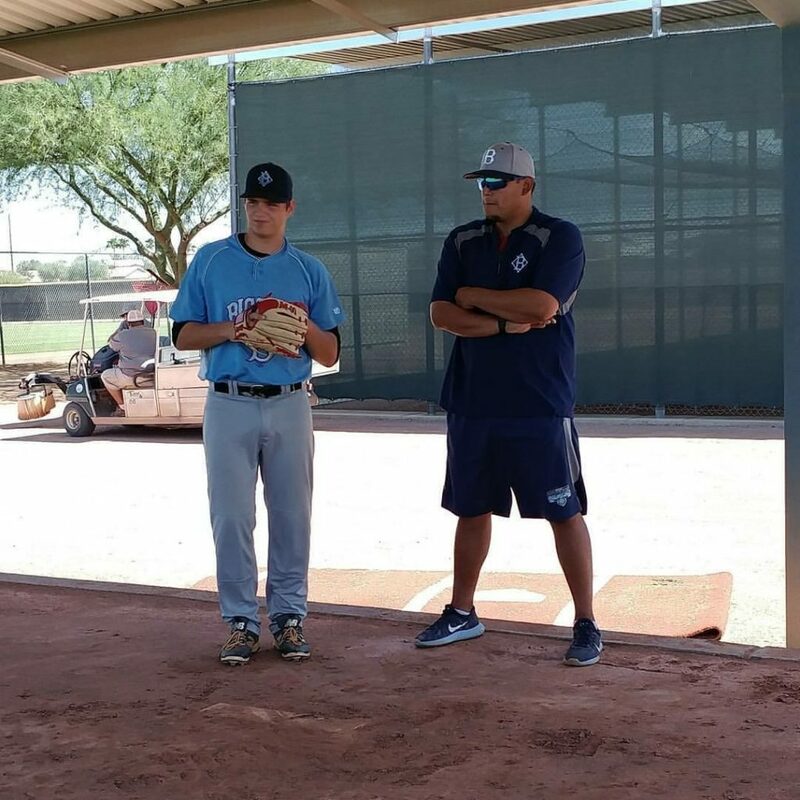 He worked with hitters and catchers before being named pitching coach halfway through the 2015 season.Mark is now back to working full-time with Elite Sports Complex. He is one of the top hitting and catching instructors in the Southeast, and once again concentrating on building his BigStix Baseball program that has seen numerous players sign college scholarships and professional contracts. He also attends yearly mission trips to Nicaragua, where he mentors adults and children about the game of baseball. He resides in McDonough, Georgia with his wife of 16 years, Christy, and son, Logan. Recardo, otherwise known as Rico, grew up in Jonesboro, Georgia. He attended East Coweta High School, where he played under well-respected head coach Franklin DeLoach. Rico played summer baseball for the very first BigStix Baseball showcase team. Rico had many scholarship offers out of high school, but ultimately chose to continue his career at Truett McConnell Junior College in Cleveland, Georgia. After his two-year stint at Truett, he signed with Savannah State University, where he stayed briefly before transferring to Harding University in Searcy, Arkansas. Rico began training athletes at Elite Sports Complex and joined the BigStix Baseball coaching staff full-time in 2011. He received his Bachelor’s Degree in Health and Fitness Management from Clayton State University in 2018. He resides in Senoia, Georgia. David Mendez grew up in Panama City, Panama. By the age of 12, he was representing Panama in international baseball tournaments throughout Central America and the Caribbean. He played three different levels of National Teams in Panama before being signed by the Atlanta Braves in 1996 at the age of 16 by Braves Hall of Fame Scout Paul Snyder and Gonzalo Gil Garrido. David played at 5 levels of minor league baseball within the Atlanta Braves organization. In 1999, as part of the Appalachian League, David lead the Danville Braves pitching staff in strikeouts and in 2000, as part of the Jamestown Jammers, lead the team in strikeouts and ERA. In 2002, after a successful season for the Macon Braves, David underwent Tommy John surgery as a patient of Dr. James Andrews. After a year long rehabilitation, David played for a short time with the Myrtle Beach Pelicans before injury stopped his pitching career. 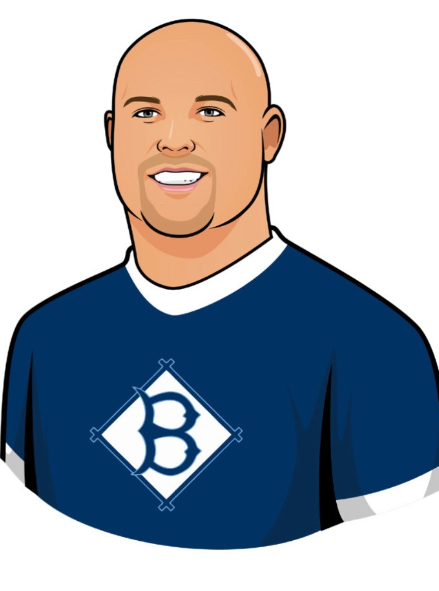 David joined BigStix Baseball and Elite Sports Complex as Pitching Coordinator in 2015. His goal is to coach and train young pitchers on proper conditioning and pitching mechanics to help them reach their full potential. He also spends a great deal of time mentoring young players and helping them reach their goals to play baseball in high school and beyond. David lives in McDonough, Georgia with his wife Andrea and sons David Jr. and Daniel.